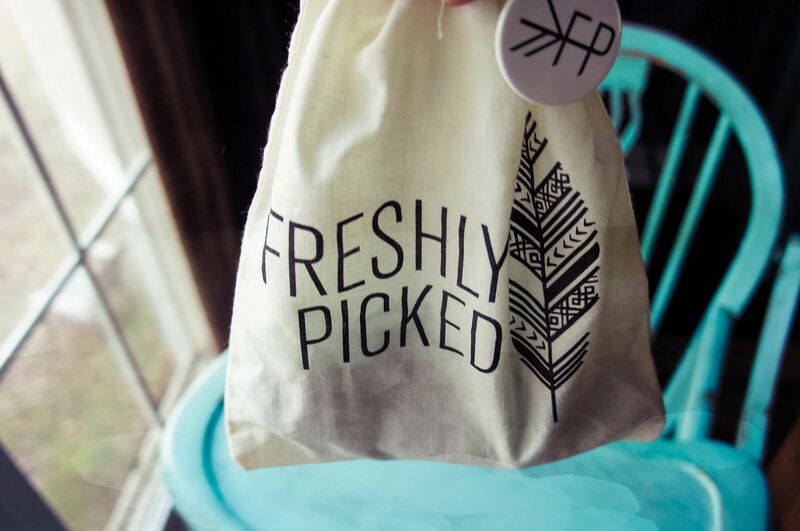 Freshly Picked sent me some adorable moccasins to take for a test drive & test drive them is exactly what we did! Adorable doesn’t cut it actually. I opted for the Limited Edition – Iced Mint color and I must say – it’s ever better in person! Some may say the metallics are for the gals but I disagree. 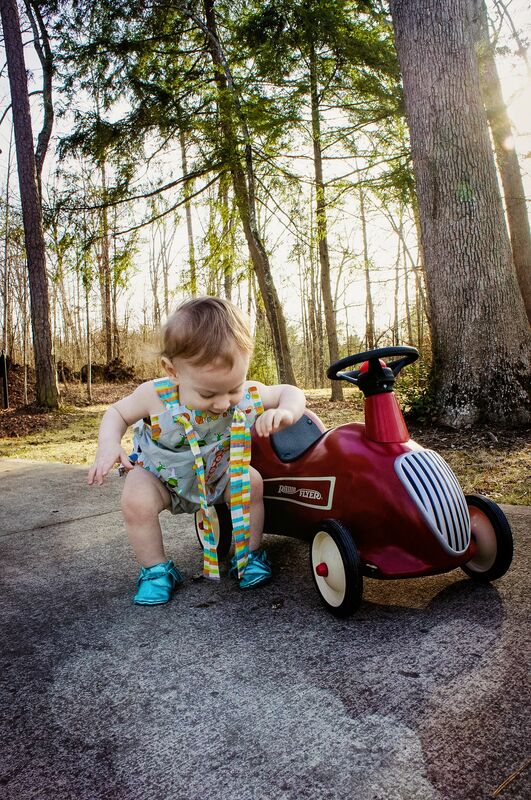 This color can be perfectly dressed up or down for the little fellas too. I love how they are out of the ordinary!! The first thing I noticed when I pulled them out of the adorable packaging was how soft the leather was. 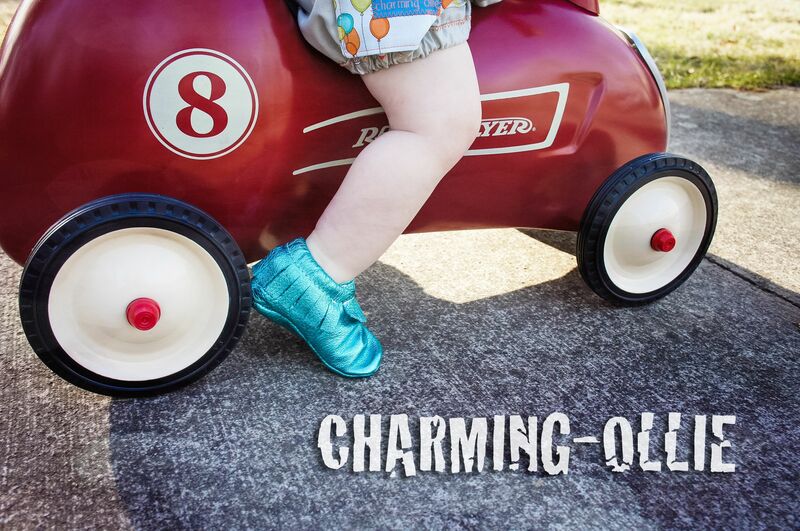 I love that it’s not stiff like all the other baby shoes. 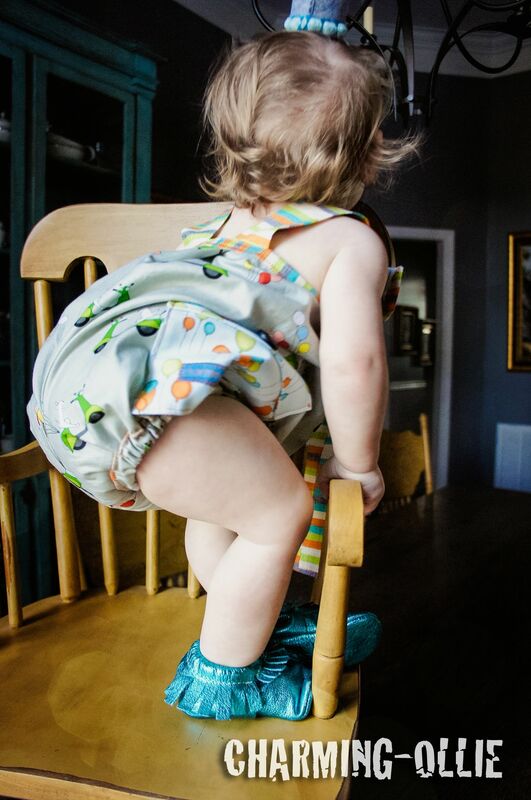 I can see how it would be comfortable and conforming to the littles feet. It kinda makes me want to snuggle. 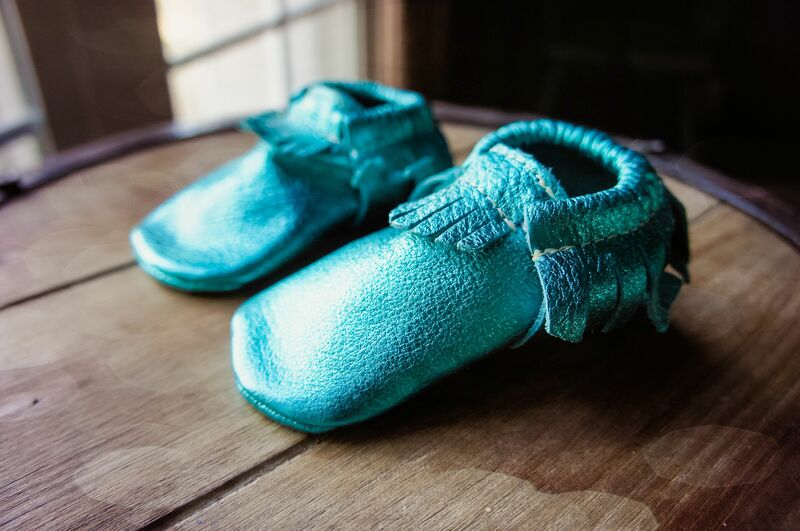 I picked a size that’s got some growing room for my littlest man and am thrilled that the moccasins actually do match their size chart. Sometimes I think companies put out size charts just for fun as they never seem to line up with their products (shoes mainly) but these actually do! Last week we had snow and this week it’s warm and beautiful so we had to work off some of that cabin fever. 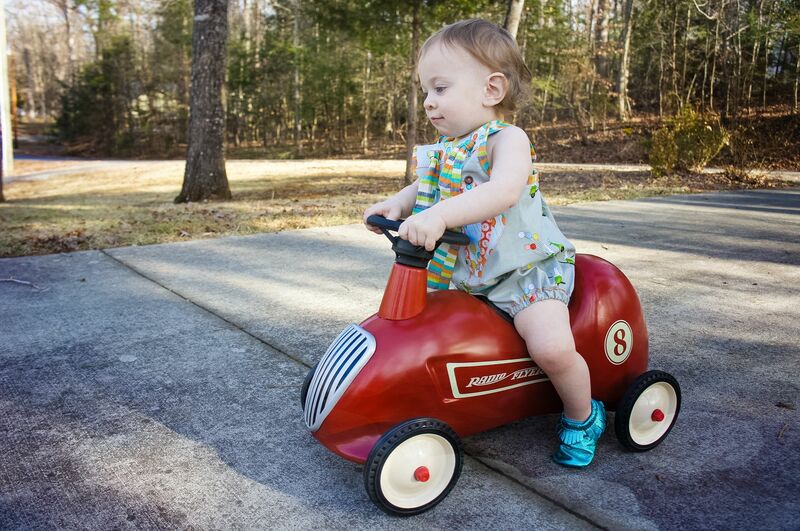 We wore these outside for the first time. They are a little big for now (because I chose that size) so the toes rubbed a little more when we were doing the riding toys and little man was curling his feet. Some of the shine at the tippy toes got a little scuffed during play and picture time but that doesn’t bother me in the least. 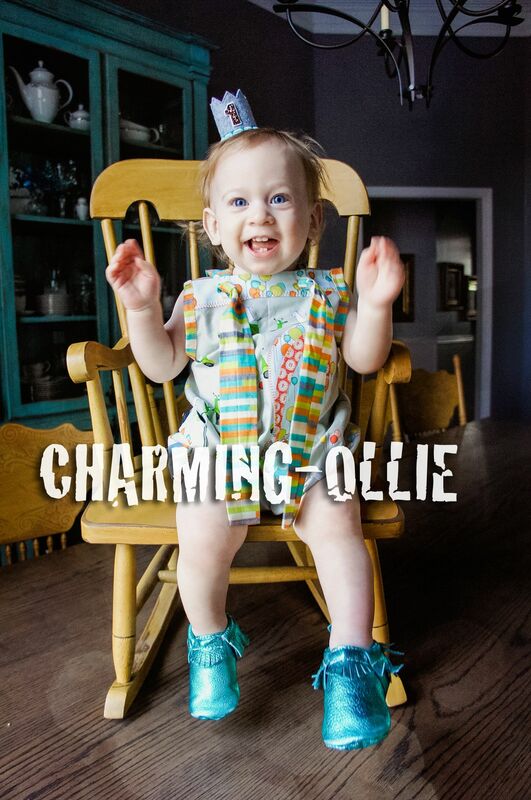 To be honest, it adds character that is perfect for matching up with his Charming-Ollie adjustable outfits! The slight scuffs and fringe curling makes this momma smile! Congratulations Lindsay D. I will be sending you an email shortly! Thanks so much for all who participated. 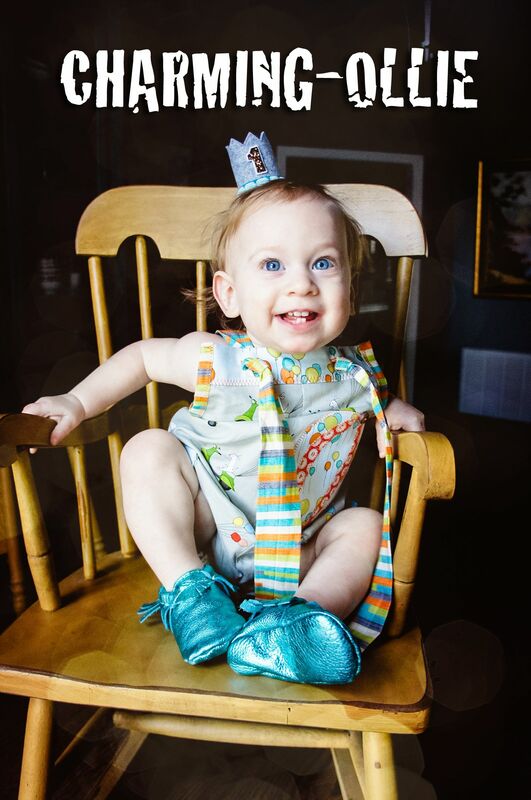 I hope you will love your Freshly Picked Moccasins as much as we now love ours!! 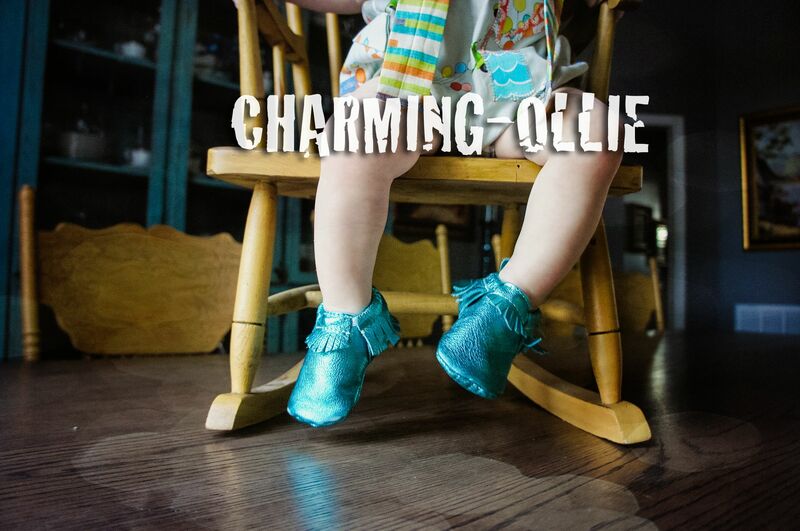 This entry was posted in Charming-Ollie, Little People and tagged baby shoes, charming-ollie, freshly picked, kid shoes, leather moccasins, little wardrobe, moccasins. Bookmark the permalink.